When one is used to chatting with the likes of farmers from small wineries in places like the Brandywine Valley, and then the opportunity to talk to someone like Alessia Antinori, heiress to the nearly 700-year old Antinori empire (along with her two sisters), one of the largest wine companies in Italy, it’s a different experience. The word polished comes to mind. Let’s just say Alessia didn’t exactly open up, or let me behind the curtain of family secrets. The reason for said conversation was a Philly-area appearance by Antinori in October, for the inaugural Main Line Wine Gala, a charity event presented by local non-profit Resources for Human Development (Look for my profile/preview in the October issue of Main Line Magazine). Dinner with Alessia, held at Overbrook Golf Club in Villanova, includes a reception as well as a 5-course dinner paired with Antinori wines. Tickets start at $375. It’s a safe choice, modern but classic, balanced and smooth, with touches of the old country, red fruits and dirt, a little bit of oak, reliable and versatile. One can easily see why this is the flagship wine, and why it’s been so popular for so long. It isn’t a wine that will knock the socks off or make anyone wax poetic, but it is one of those go-to wines to have in the wheelhouse when you find yourself stuck in one of those closet-sized, non-premium collection PLCB stores, or, when out of state, in some lethargic supermarket wine aisle. A nice easygoing white, lovely for aperitifs, antipasto, or lighter fare. Herbal notes, citrus and stone fruits pair with a touch of honey before a crisp finish. Easy to drink and hard to dislike, with similar thoughts as the Rosso. In a strange twist, this blend of Tuscan grapes (Trebbiano, Malvasia, Pinot Blanc and Pinot Grigio) is finished with 15% Riesling from Germany’s Rhine. Along the same script as the Rosso, but an obvious step up – red cherry fruits, spice and touches of earth, mellowed by oak, wafts of caramel, notable but balanced tannins. Took about 90 minutes in the decanter to show its best stuff. A straightforward and well-made Chianti Classico Riserva in the modern style. 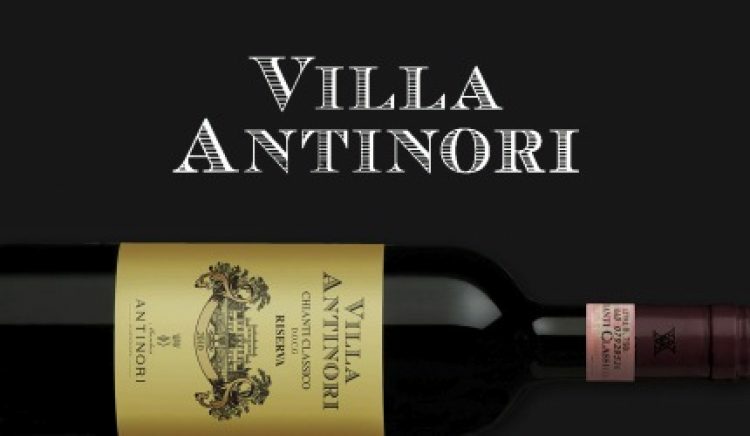 In today’s competitive marketplace, it may be difficult to justify paying the retail tariff of for these wines when it seems there’s always a wide variety of quality Chianti and other Tuscan wines to be had on Chairman’s Selection for under $20. But with Antinori, the quality is consistent year after year, and you basically always know what you’re going to get. So, there’s the real question – gamble on the deal, or go with the sure thing? Nicely done, and what a cool honor to meet Alessia.